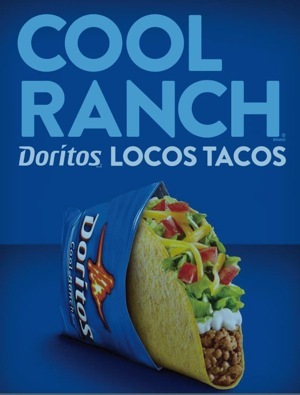 Ever since nacho cheese flavor of Doritos Locos Tacos became a part of our lives last year, we’ve been tracking the inevitable progress toward the day when a Cool Ranch version would arrive. That day has come, everyone. Or rather, it will be coming on March 7, as the company announced today. Clearly Taco Bell knows it’s got a guaranteed win with this one, as the first DLT (as the company calls it in a press release sent to media today) induced mass drooling and almost immediate adoration upon its debut in 2012. Yes, our need for tortilla chips dusted with powdered flavor and turned into taco shells must be met. Next Are Over-The-Stove Microwaves Just For Decoration? Next Up: Are Over-The-Stove Microwaves Just For Decoration?